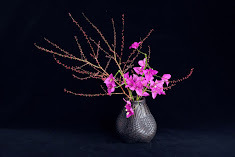 Floral Design Magazine featured Shoso Shimbo. "Meet the very talented Shoso Shimbo and browse through his astonishing design portfolio." Floral Design Magazine, February 2012, pp.38 - 53. You can order a printed copy or download it below.